The power of analysis is always obvious. The most organized, results-oriented, and professional blogs are always keeping their actions and performance under close watch. Success leaves clues. If the most successful bloggers and professional writers use analytics tools to improve their site’s user experience, traffic, and ultimately earnings, you’d better be certain that they do it for a very good reason. It’s important to note that even if Google Analytics is a FREE tool, the majority of marketing experts and professional webmasters choose it over any other paid option. 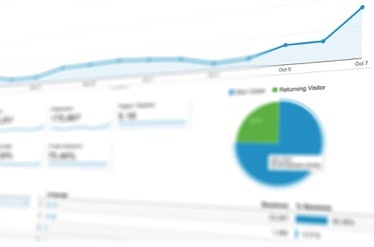 That should give every newbie plenty of encouragement because by leveraging Google Analytics, every single blogger gets the chance to consistently make their site better. What Benefits Come with Google Analytics? You can see how many live visitors you have at any moment. The tool analyzes the number of your site’s hourly, daily and monthly visitors. You can track the bounce rate of each page and piece of content. You can also track countries, demographics, referrals, and more. There aren’t so many options to add Google Analytics to your blog. You either get a plugin and insert the analytics code into it or, if you have the right skills, you can place the tracking code by yourself. Anyhow, before we get there, you need to take perform some basic actions like signing up to the platform and doing some configurations. However, let’s see 3 simple steps you need to take when installing Google Analytics on your blog. After you access their page – www.google.com/analytics – you’ll have to log in using your Gmail account (in the case you don’t have a Gmail account, creating one shouldn’t take you longer than 5 minutes). To get your Tracking ID, ensure that you tick all the recommended options that you’re given during the sign-up phase. It is very important to save your ID. This unique ID is a part of your tracking code which you’ll have to insert in the source code for your site. As I said above, you can do it manually, but there is an easier way to insert your Google Analytics tracking code into your blog template. All you have to do is install Google Analytics for WordPress plugin, activate it, go to Analytics through settings, and enter the tracking code. Piece of cake, right? You’re only a few clicks away from seeing your blog posts in Google Analytics. All you have to do is go to “Behavior”, then to “Site content”, and you’ll get what you want on “All pages”. See, it wasn’t that complicated. Now, if you want to sort out the non-blog pages such as the contact page, go to the “Advanced” section. It is at the top, right next to the search bar. Just don’t forget to change “include” to “exclude”. Also, if you don’t want to do this change every time you want to see your blog posts in Google Analytics, you should save this filter. How you do this? Simply go to Admin tab (it’s on the sidebar) and then, right under “view” you’ll be able to create and save a new filter. Every successful company leverages at least one analysis tool to improve its performance. The most successful bloggers do that too, so one thing is obvious: long-term success is always dependent on feedback. Google Analytics is the “beginner marketer’s friend”, because its free, extremely easy-to-use, and also very effective. It’s time to take your business to the next level and start leveraging the results of your analysis. Take our tips into implementation and start using Google Analytics now!